Nicole Mitchell's Ice Crystal project explores water and glass chemistry of flute and vibes, by combining the creative flutist with young luminary Jason Adasiewicz on vibraphone. Ice Crystal's sound reminds us of the legendary collaboration between flutist Eric Dolphy and vibraphonist Bobby Hutcherson, but with a Chicago twist. Expression of yet another color in Mitchell's kaleidoscope of approaches, Aquarius is blues-inflected serenity, playfully swinging to the ethereal. 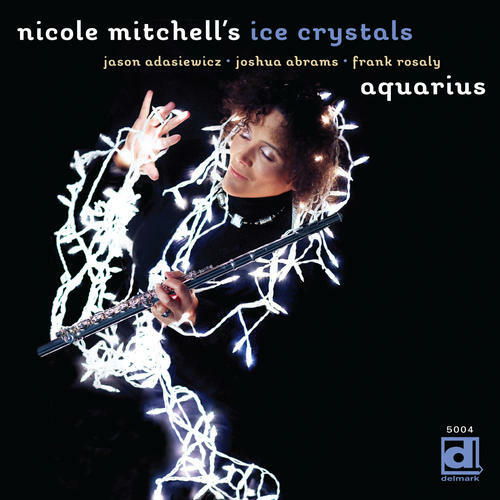 Mitchell may have migrated to California, but her Chicago story continues, as she teams up with veteran improvisers Joshua Abrams (bass), Frank Rosaly (drums) and Jason Adasiewicz to take free swing to the ninth degree.